If this photo was taken in North Finchley, then it's almost certainly of the Premier Supermarket which opened around 57 or 58. There was a coffee bar on one side where they served drinks in, the then new, unbreakable melamine cups and saucers. 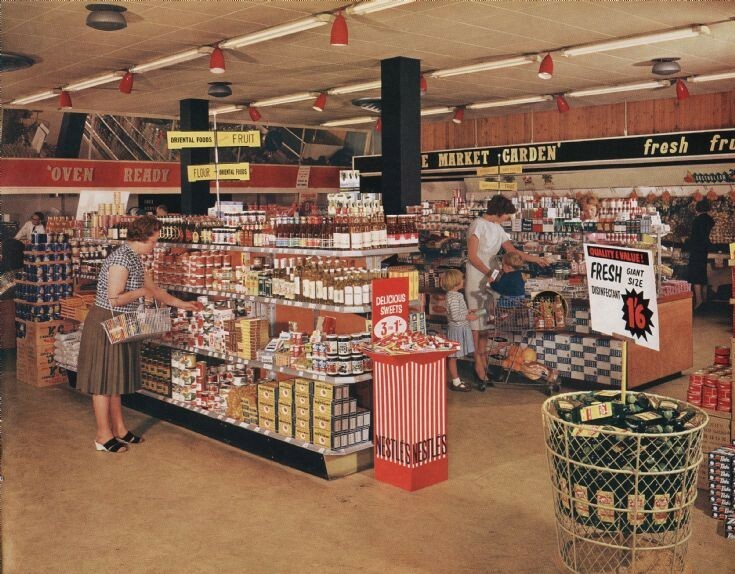 And I think that this was one of the very first supermarkets to open in the UK. Pity there are no views of the outside. And Sainsbury's, with their window opening on the street and ladies in white hairnets, was just a couple of doors away at the junction with Friern Park.